If you are teaching kids Spanish at home or at school, be sure to check out our Teach Kids Spanish: Resources and Strategies page. You’ll find lots of helpful, inspiring information. Raising bilingual children is the right thing to do, but not an easy thing to do. In my experience, the biggest obstacle for most families is that they simply don’t know how – how to start, how to sustain the effort and how to cope with all of the complications and obstacles that inevitably arise. Maximize Your Child’s Bilingual Ability teaches parents what they need to know. Adam Beck is a teacher and parent raising bilingual children with a passion, playfulness and kindness that mirrors my own approach. He also has a deep understanding of how children acquire language. In the book he shares his genius for applying that knowledge to everyday family life. Like much of parenting, it is next to impossible to understand the joys and challenges of raising a bilingual child until you are doing it. And, like much of parenting, the perspective of others you trust is invaluable. 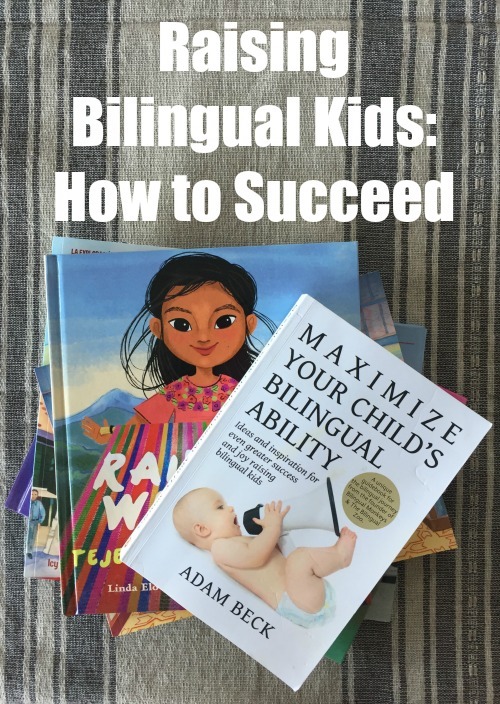 In the first half of Maximize Your Child’s Bilingual Ability, Adam gives you the perspective you need to be successful. In Perspectives, Adam provides an overview of what the process of successfully raising bilingual children entails and the attitudes that will make it easier. For example, he discusses how to create conditions to put the odds of success in your favor and the importance of taking full advantage of every day. He talks about the essential role of creative thinking and about maintaining firm expectations. These 30 short chapters describe what to expect and the mindset you need to succeed. The fact is, it is very hard to raise a bilingual child if you don’t have a clear understanding of how children acquire language or what will be required of you. When you understand the process and what works, you can act. In Principles, Adam describes how children acquire language and tells you what to do to make it happen. Every one of these 30 short chapters is something that parents can act on. From choosing a language strategy and building a home library, to playing games and sustaining a homework routine, these concrete steps create a path to bilingualism. In addition to giving readers valuable content, Adam has gone out of his way to make the information as accessible as possible. He is an excellent teacher, and he brings his teaching skills to the style, structure and format of Maximize Your Child’s Bilingual Ability. The result is a wonderfully written book, designed to help the reader understand and apply key concepts. For example, Adam’s personal anecdotes make the book fun to read, but more important, these stories tie ideas to a context you will understand and remember. In addition, Adam comes back to key concepts from different angles, so they become familiar and manageable. In an exceptionally helpful feature, Adam ends each chapter with a Quick Takeaway that summarizes the central idea in one sentence. Finally, I love the tone of this book. Adam is encouraging and never condescending or judgemental. He understands and acknowledges that each family has their own circumstances and goals. Maximize Your Child’s Bilingual Ability is full of a sincere generosity that creates a connection, and makes you much more likely to understand and use the information. As I mentioned, I recommend Maximize Your Child’s Bilingual Ability on a regular basis. 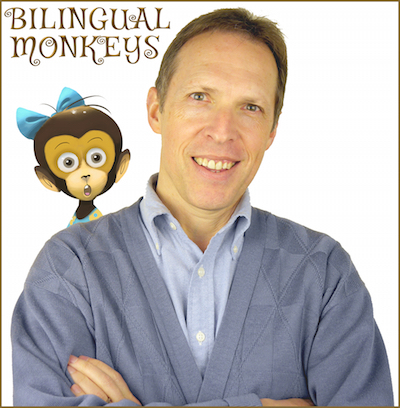 I also recommend that anyone raising bilingual kids or working with language learners read Adam Beck’s blog Bilingual Monkeys. Parents should also take advantage of The Bilingual Zoo, a free online community of families raising bilingual children. You can follow Adam Beck on Facebook and Twitter. I really enjoy Adam Beck’s blog Bilingual Monkeys, he always has the most useful advice on how to raise bilingual children. Love his blog! 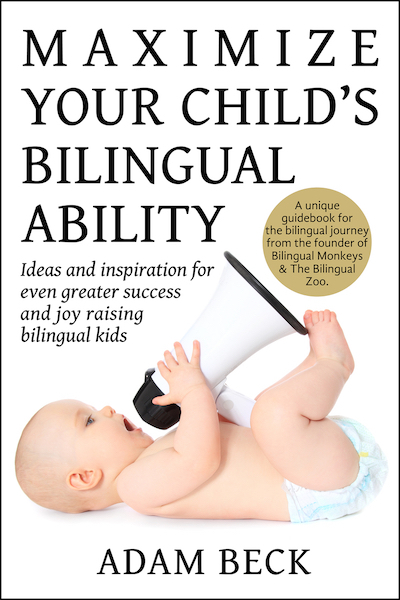 A must have book for bilingual parents! You would not regret it. My 4 year old girl speaks and reads good minority language, thanks to this book! Vanessa and Leng, thank you for your kind comments! I’m really glad to know that my blog and book have been helpful to you!